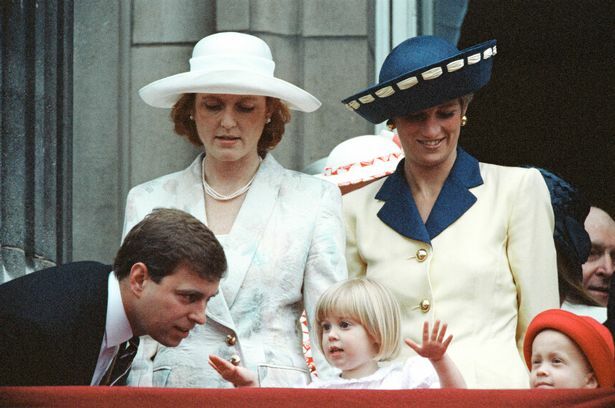 Sarah Ferguson has spoken about the relationship she had with Princess Diana after they both married into the Royal Family. The two women, who married brothers Prince Charles and Prince Andrew, seemed to be good friends and were often seen at official and casual events together. But there were also rumours of tension and a rivalry between the two women , which Fergie has now addressed as part of a new campaign. She’s now claimed the two women never felt any sort of rivalry towards each other. In an open letter published in Hello! to support their #HelloToKindess campaign, she hinted at how people have been comparing Meghan Markle and Kate Middleton by referring to comments which were made about her and Diana. She writes: "Women, in particular, are constantly pitted against and compared with each other in a way that reminds me of how people tried to portray Diana and me all the time as rivals, which is something neither of us ever really felt." Hello!’s online positivity campaign was launched as a response to a rise in abusive comments about Meghan and Kate. Sarah writes: "Take a look at any website, and you’ll see extraordinarily abusive comments aimed not only at people in the public eye but also other internet users. Bullying, sniping, bitching, even the most appalling sexism, racism and homophobia are commonplace – it seems that online, anything goes. "I believe that it’s time to take a stand. This isn’t about freedom of speech. The truth is, it’s not acceptable to post abuse or threats on social media or news sites, and it’s not acceptable to harangue other users simply because they disagree with you. "It’s not acceptable to pit women against one another all the time." Earlier this year it was revealed that Palace staff spend hours every week dealing with nasty and offensive comments on the Royal Family’s official social media accounts. A royal source told the magazine: "The Palace has always monitored comments but it’s a hugely time consuming thing. "They can block certain words, but some of it is quite serious. "Over the course of last year, with hundreds of thousands of comments, there were two or three that were violent threats. "You can delete and report and block people and the police have options around particular people. It’s something you have to manage because there’s no other way to control it."